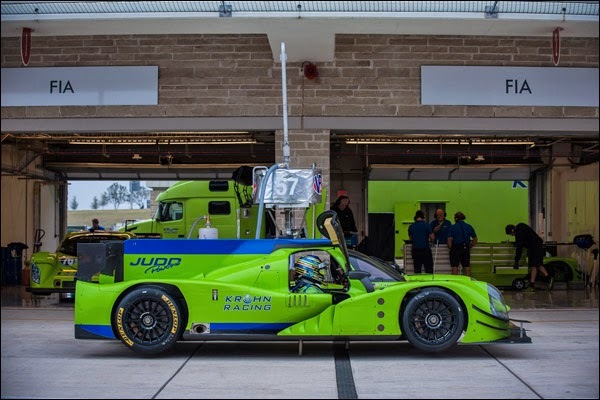 No Fenders -Formula 1, IndyCar and A Whole lot more..: ROLEX 24: What type of "Sprint Race" will the 2015 Daytona Enduro' Be? ROLEX 24: What type of "Sprint Race" will the 2015 Daytona Enduro' Be? And, Thanxs solely to Santa, I'll be pullin' a "FAST EDDIE!" Aka Ed Carpenter, a la his consecutive I500 Poles; I'll be missing the B-I-G' Race once again for the second year in-a-row whilst busy enjoying funky 'lil Adult beverage concoctions with umbrellas in 'Dem on the B-I-G' Island! And as always, don't forget to check out those zany "Stick 'N Ball" Sports Guys over at Grab bag Sports for their annual 24hrs live 'round-duh-clock Blogathon - for which I have NO idea what NARLY '80's racing movie will be their pick 'O thy liter; Err litter Hya! Otay, with the No Fenders Pre-amble outta the way, sorta, a cursory look at the muddied waters of the Tudor United Sports Cars championship's "Premiere" class, i.e. ; Prototypes, who you'd naturally ARSE-SUME the races overall winner will come from includes the following machinery. Corvette DP, Riley DP/Ford Ecoboost, (V-6 turbo) P2-Honda/ARX, P2-Ligier/Honda Twin-turbo, P2-Ligier/Judd, P2-Mazda Skyactive Diesel. Action Express Racing; Corvette DP, Extreme Speed Motorsports, Honda ARX-4b, (P2) Michael Shank Racing*, Ligier-Honda Twin-turbo, (P2) Chip Ganassi Racing, Riley/Ford Ecoboost, (DP) Speedsource; P2-Mazda Skyactive Diesel. Action Express Racing and Speedsource were the only teams with two confirmed entries 'Wayback in November, 2014. Although pretty sure that Scotty Sharp's Extreme Speed Motorsports (ESM) will campaign a brace 'O Honda ARX-04b's this year too. I'd expected to see Scott Dixon and Kyle Larson at the very least figuring into the Ganassi line-up; whilst it'd sure be nice to see the usual brace "O red Ganassi chassis on hand, albeit not sure if this will happen with Target "redirecting" its spending of its Sponsorship Dinero? As I was right; Tuh Duh! As CGRFS (Chip Ganassi Racing with Felix Sabates) announced its two car multi driver line-up Dec 18th with the announcement of the No. 01 being piloted by full season regulars Scott Pruett and Joey Hand, who'll be joined by Charlie Kimball and Sage Karam. While the No. 02 will see Scott Dixon, Tony Kanaan, Jamie McMurray and Kyle Larson at its controls. Joey Hand, an ex-Ganassi racer, most recently contesting the DTM for BMW replaces Pruett's longtime co-driver Memo Rojas, who's left Ganassi after apparently plateauing, as I'll be interested to see where the multi-times Daytona Prototype champion lands at next? Whilst reportedly the Target red will be replaced by Ford's blue oval colours in what apparently could lead to an assault upon le Circuit de la Sarthe in 2016? Wayne Taylor Racing and Spirit of Daytona Racing will field full season TUSC efforts, with Taylor's Corvette "skinned" DP perched upon a Dallara chassis, with the latter Spirit of Daytona team using the dominant Coyote platform instead. As I'm most interested to see; Uhm, hear; Err read how the "slower" P2 chassis do, most notably the Ligier JSP2 cars, albeit I'd expect the MSR car to have potential teething issues? But it'd be funny to see a P2 car defeat the mighty Corvettes and Ford "Eco Boost" mobiles! Only "Spec-series" category in TUSC, with all competitors utilizing Oreca FLM09 chassis propelled by naturally aspirated 6.2-liter "Bowtie" (Chevrolet) LS3 V-8 lumps. As always, this category will most likely be dominated by Porsche 911 Panzerwagons going Hammers 'N Thongs;' Err Tongs; Hooah! vs. Ferrari 458 Italias, while I'm ARSE-sumin' that the factory C7R 'Vettes (Corvette) will run too "Works" efforts again... Most likely with Antonio Garcia, "MAGS," (Jan Magnussen) "Ollie" (Oliver Gavin) and Tommy Milner making up the core driving roster, while perhaps Ryan Briscoe will become a new fulltime addition in '15? This will be another fun category to watch with its diversity of Tintops; as I'm guessing that the Audi R8 will be the car to beat, as interestingly, longtime Porsche 911 runners Flying Lizards have gravitated to this chassis. And did I read that right? Porsche stalwarts, and past Daytona 24hrs overall winner TRG is now racing Aston Martins? While surely there'll be plenty 'O 911's and rival 458's to keep the class leaders honest. First GTLM squad outta duh box to announce their driver line-up was Scuderia Corsa, 'Wayback in November, 2014, with Indy 500 racer and "Peacock-lite" (NBCSN) IndyCar Booth Boy Townsend Bell pairing with Bill Sweedler aboard the No. 63 Ferrari 458 Italia. And reportedly TRG's 2015 entry will see two thirds of its driver strength consisting of 'Aussie James Davidson and Denmark's Christina Nielsen. Hmm? While that name immediately made me think of past 24 Heurs du Mans winner Jon Nielsen and those iconic Silk Cut Jaguars; yet Christina's the daughter of racer Lars Eric Nielsen, not Jon. As NO idea if there's any relation here? While Diehard Indy Lights and IndyCar fans will recognize the name James Davidson who's made three IndyCar starts, most notably in last year's Indy 500 where he appropriately ran the No. 33 for KV "Whats Yuh Muh-Callit" in deference to his being the races thirty-third entry. Dorsey Schroeder, 1989 Trans Am champion and longtime Sports Car TV commentator will come out of the broadcast booth after 12yrs to fill-in for Brian Johnson of "AcaDaca" (AC DC) fame, who's currently on tour in the 50+ Highway to Health's Riley-BMW DP. Don't be surprised to see "Simone Pagenoe", aka "Pageantry," nee Team Penske's Simon Pagenaud behind the wheel of one of the Corvette Racing's C7R's, or DP's? As not sure where he'll land, but rumours claim he'll be driving a Bowtie during the Rolex 24 and Sebring 12 Hours before concentrating on his "Day Job" for 'El Capitano's first ever four car IndyCar team. Naturally the "FoMoCo" Man in Mwah would wish for one of Chip Ganassi's "Ford's" to win... While I'm a huge believer in Massimiliano "MAD MAX" Papis, along with always liking "Razzle-Dazzle" and "Born On the Bayou" John CCR' Fogarty, whilst how could Yuhs bet against the potent trio of Fittipaldi, Barbosa and Bourdais, eh? 2) #3/4: MAGS', Ollie, Garcia & Co.
3) #911: Earl Bamber & Co.
Otay, going the sentimental route here, albeit suppose A-L-L of my picks are that, eh? But think it'd be nice to see Townsend Bell winning, although not sure if he'd be showing off his watch the rest of the year during his IndyCar TV Gig, like Hey 'PT, (Paul Tracy) Betcha DON'T have one of these Buddy! Uhm? Does anybody know what time it is; Hya! As let's GO RACING! Enjoy the race Y'all, and may the best team win!